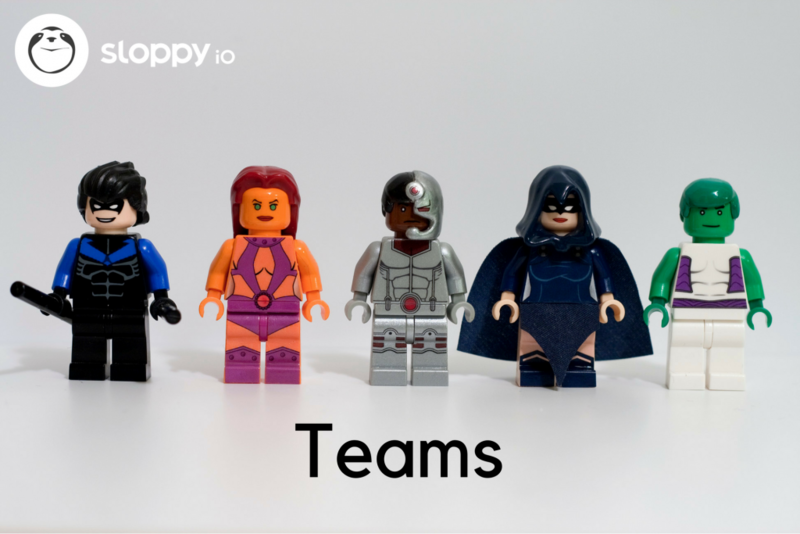 sloppy.io introduces its new teams feature. 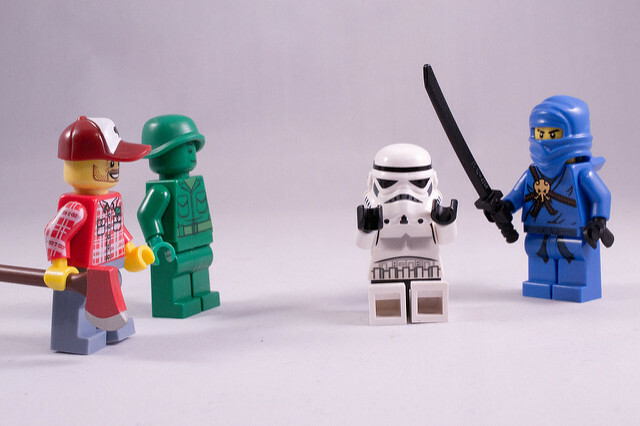 Share your projects and collaborate on them with coworkers. Where would the web be without the work of teams? While the big companies usually put one face in front, it has always been the collaboration of minds that moves the boundaries and pushes us forward. As is evident in the manifold Open Source projects on the net welcoming everyone to participate. 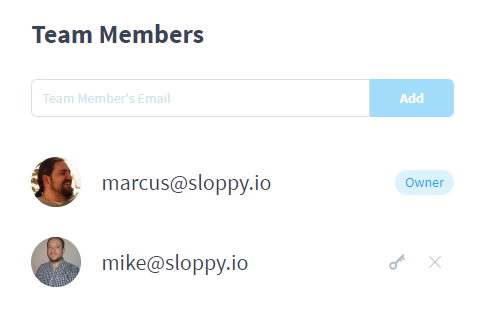 This approach is reflected in the sloppy.io teams feature: Invite other sloppy.io users to work with you on your projects as team members. When responsibilities change, the ownership of a project can also be transferred to a team member. As this powerful feature works best in an environment of trusting coworkers, like agencies or departments of a larger business, we integrated this feature into our “Business” hosting plan. While the owner of the project is required to subscribe to this plan, team members don’t need any subscription. They only need to sign up for their own account. Teams are set up in the sloppy.io Web UI. Upon entering your dashboard, you will spot three tabs, two of which are now showing “My Projects” (projects that you own) and “Shared Projects” (projects that you are a team member of). 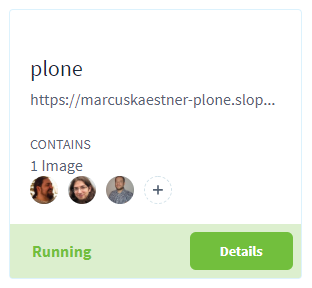 All projects show the profile picture of the owner and team members and give you the option to manage team members by clicking on the plus icon. Once a team member is added via their email address, they immediately gain access to the project, being able to manage, monitor, and add or delete services and apps. For more details about the teams feature, visit our Knowledge Base. As always, if you’d like to know more or give us some feedback, click on the chat icon in the lower right of your screen and talk to us.